The mill design for oxidation-free milling in inert atmosphere (‘inert milling’). In-line milling, e.g. in pneumatic conveying systems. Originally, the inert milling principle was developed for solid fuel grinding under nitrogen atmosphere. With research funding from the Belgian government, Asnong developed the inert mill for application in breweries. 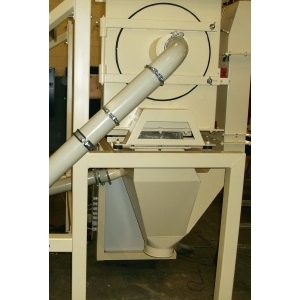 In-line milling in pneumatic conveying systems (such as husks milling).